The magazine Popular Science ran on it’s cover Stem Cells for All. 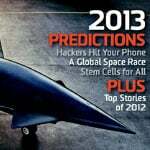 The issue predicted stem cell breakthroughs for 2013. The article based this assertion on an earlier announced study that transformed skin cells into neurons. The ability to turn abundant skin cells into another tissue is a energized topic as, this total or totipotent ability is what embryonic stem cells possess. Other stem cells are multipotent or capable or forming several tissues along certain lines, but not any tissue. This capacity to form new tissue from a readily available source would avoid political and religious debates. Stem cell research continues to flourish as the possibilities for advancing medical treatment are vast. Orthopedic applications are well under way. Clinical trails in humans have advanced with spine and knee osteoarthritis studies. Safety trials with other people’s stem cells or allogenic stem cells, have shown safety. Inherent problems with using donor stem cells may delay this form of treatment for some time. Additionally in today’s health care reform world, stem cells may be viewed as a luxury when dealing with pain and arthritis. This remains to be seen, yet may not be answered for a long time. Currently, stem cells from the patient that are used the same day to treat orthopedic, sports and arthritic problems are available in the United States. The knee is a frequently treated joint for stem cell therapy, however other joints, and conditions such as Avascular Necrosis (AVN) have been treated with stem cell therapy. The implications for stem cell therapy in future medical treatments will continue to expand. 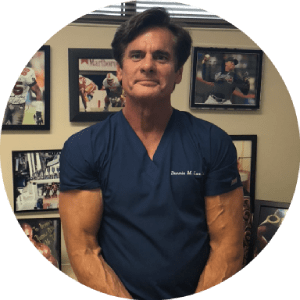 Dennis M. Lox, MD, serves patients in the greater Tampa Bay area, including, Clearwater, St. Petersburg, Tampa, New Port Richey, Sarasota,Orlando and Spring Hill. He has been pleased to accommodate the needs of patients throughout Florida, the United States, the Western Hemisphere, and Europe, as well. Located in the 33765 and 33765 areas, our offices can be reached at (727) 462-5582 (Clearwater) and (727) 817-1909 (New Port Richey). Call to schedule your visit today.